That sound you heard on Friday was Rick Perry stamping his feet if he doesn’t get his way. Gov. Rick Perry is warning state legislators that it could be a long, hot summer in Austin if they don’t pass his top priorities: funding water and transportation projects and cutting business taxes. With a month left in the regular session, Perry spokeswoman Allison Castle said Friday that the governor is prepared to bring lawmakers back in special session if they don’t act on his signature issues. Castle said the Legislature still has plenty of time to act before the clock runs out on the 83rd Texas Legislature next month. But she said Perry won’t stand for incomplete work on his top items. Whatever. Perry is very likely to get the first two items on his wish list regardless of any threats. His ridiculous tax cut, I hope not. I note that story came out the same day as this one about legislative Republicans pushing back against Perry this session. 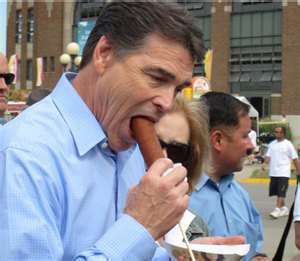 Not a coincidence, I daresay, but we’ll see whether that attitude survives Perry’s meetup with the GOP caucus. Meanwhile, the House approved a supplemental budget that included more money for public education. Debate over a routine budget bill in the Texas House became unusually topical Friday as lawmakers touched on a fertilizer plant explosion in West, the murder of two Kaufman County prosecutors and the Travis County district attorney’s drunken driving arrest. Lawmakers ultimately voted 129-9 in favor of House Bill 1025, which would add $874.9 million to the state’s current two-year budget. The bill includes $500 million more for public schools and more than $170 million in payments to state and local agencies to cover costs related to wildfires in 2011. Lawmakers filed 20 amendments to the bill ahead of Friday. Nearly all of them were eventually withdrawn or rejected by the House. Members agreed to an amendment by state Rep. Kyle Kacal, R-College Station, that allows the governor’s office to “prioritize” the use of $2 million for recovery efforts after this month’s disaster in West. Kacal’s district includes the town of West. One of the amendments that was subsequently withdrawn came from Rep. Phil King, who is trying to force Travis County DA Rosemary Lehmberg to resign. He attempted to use the process to move the Public Integrity Unit from Lehmberg’s office to that of the Attorney General, but did not succeed. I wouldn’t put it past him to try again later, however. In any event, the best thing to come out of this debate was the wailing and gnashing of teeth by the slash-and-burn crowd. Finally, the Texas Association of Business has endorsed the Zerwas plan for Medicaid “expansion”. “If we can take the money on our terms and conditions then it is something we ought to do,” said Bill Hammond, president of the group, whose board voted in January to oppose expanding Medicaid as called for under the federal Affordable Care Act. The basis of Zerwas’ plan is to negotiate a deal that allows the state to use federal Medicaid expansion dollars to subsidize private coverage, which Hammond said is a workable solution. “We encourage them to march to Washington to try to cut a deal,” he said. House Bill 3791, authored by Zerwas, R-Simonton, has four parts: It outlines what the state’s request for a federal block grant to reform the current Medicaid program could look like; identifies Medicaid reforms that Texas could implement already, such as cost-sharing requirements and co-payments; sets up a separate program to potentially draw down federal financing to help individuals at or below 133 percent of the poverty level find private market coverage; and sets up an oversight committee for both programs. “This is not an expansion of Medicaid — this is the creation of a new program that leverages our private sector,” Zerwas told the House Appropriations Committee, which voted 15 to 9 on Tuesday to move the legislation out of committee and continue debate on the House floor. Like I said, I’m lukewarm on the idea, but it is the best we could get at this time. Lord, we need a new government in this state.